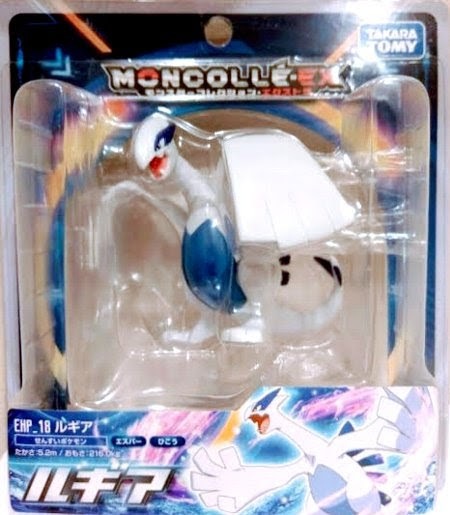 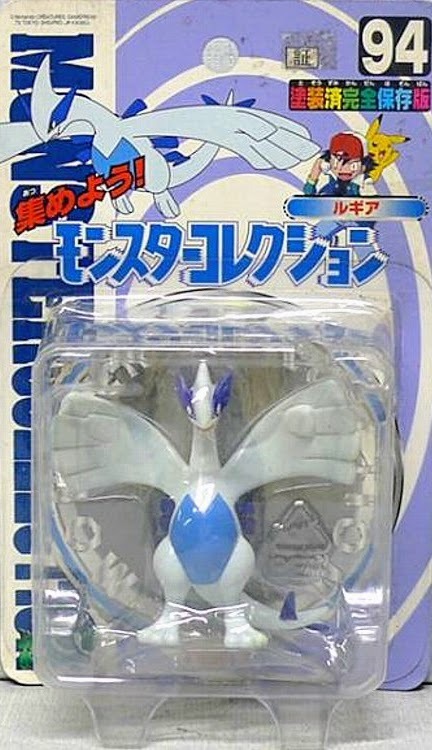 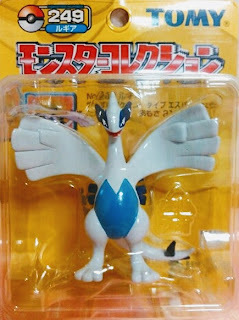 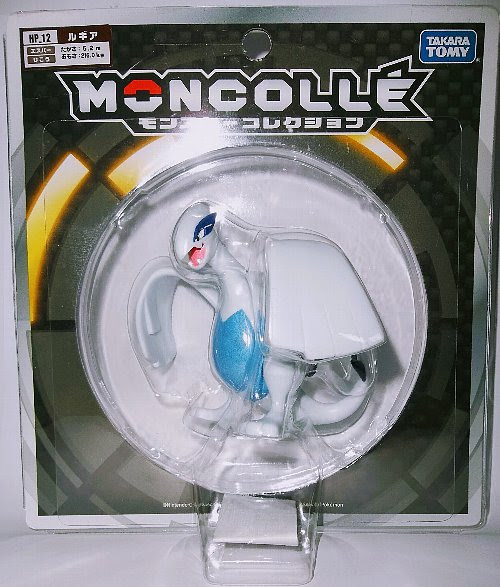 Pokemon figure Tomy Monster Collection series Lugia ルギア. 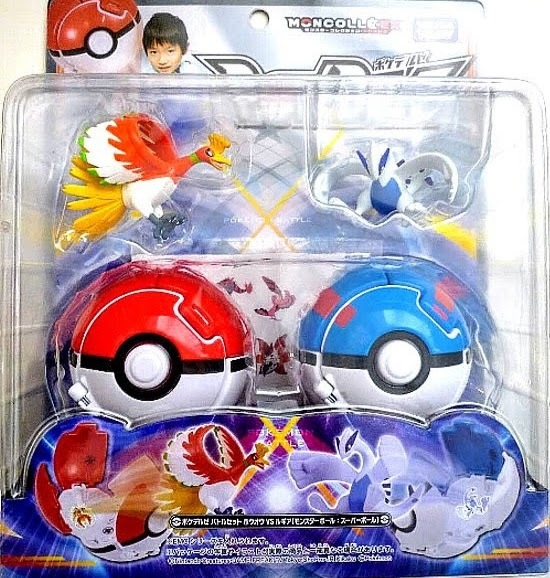 Size is bigger than regular figures. 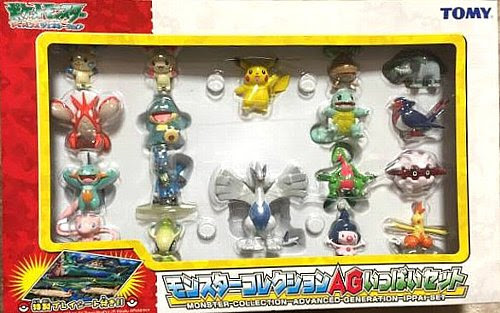 Same pose in yellow package series. 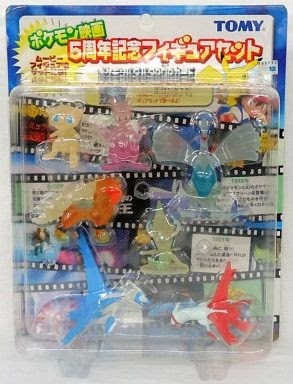 Clear version in 2002 Pokemon movie 5th anniversary set. Metallic version in AG 18pcs figures set. Renewal and changed size in MC series. 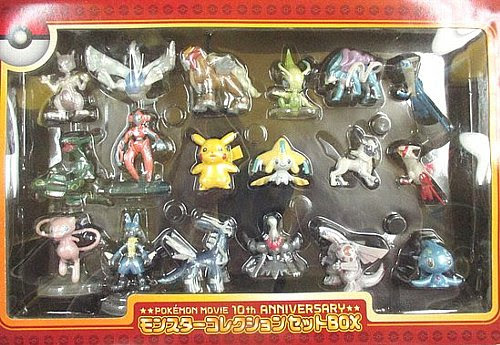 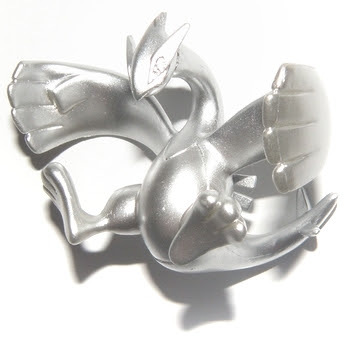 Metallic version in 2007 Pokemon movie 10th anniversary set. New pose in Battle Scene series. 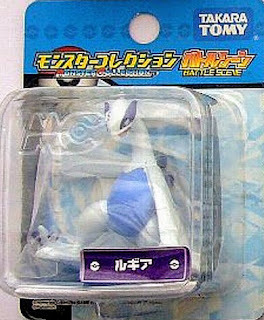 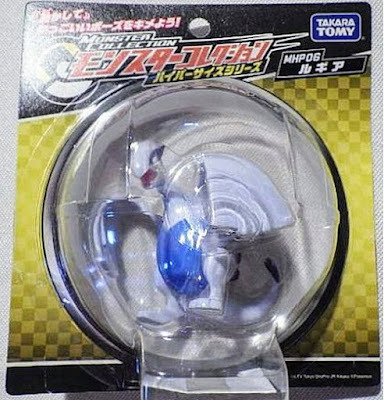 Metallic version in 2009 Tomy HGSS promotion. Metallic is more brighter than 2007 Pokemon movie 10th anniversary. New pose in MC Plus series. 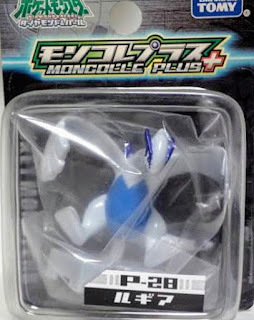 Same pose in MC Plus special set. Silver metallic version (same pose as MC) in HGSS 12pcs figures set. Same as MC in M series. 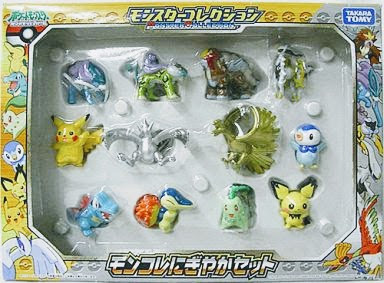 Matte color in 2015 Hoopa movie set. 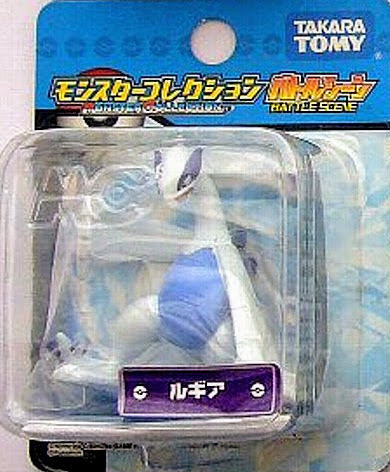 Same pose as 2015 Hoopa movie set with matte paint in PokeDel-Z series. 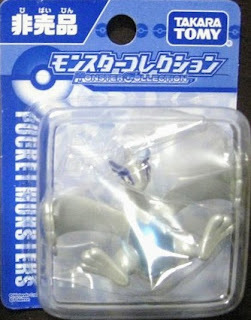 Hyper size with matte paint in MHP seires. Movable wings & legs. 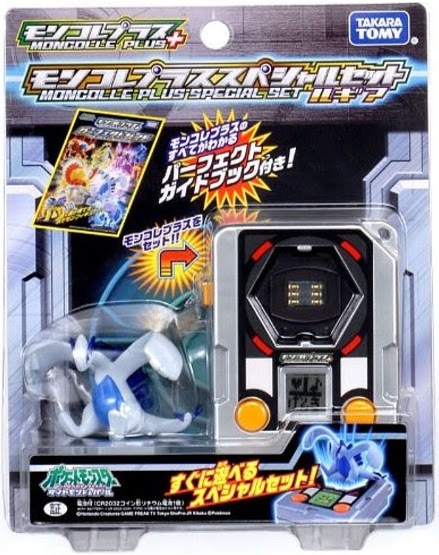 Same as MHP in MONCOLLE HP series. Same as MHP in MONCOLLE EX EHP_17. 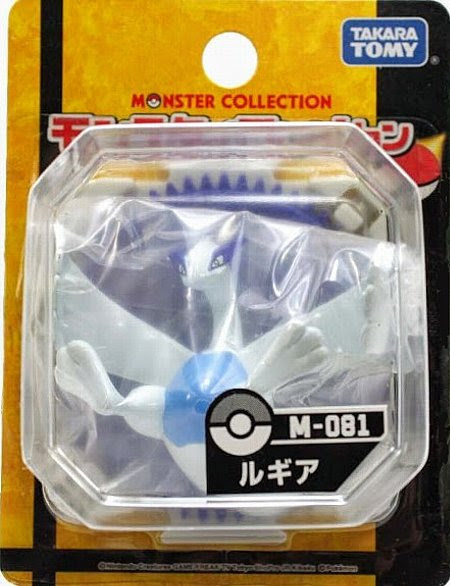 Lugia in YJ Auction ?